George Lyndes MacCurdy, a lifelong Kansas City resident born January 13, 1927, at Saint Luke’s Hospital, died peacefully the morning of September 3, 2018. He attended J.C. Nichols Grade School and graduated at the age of 16 from Southwest H.S. in 1943. He attended Kansas City Junior College from 1943-44 until he was old enough to enlist in the U.S. Navy during World War II, and attended Naval Flight Training School until the war ended. George was an Eagle Scout and member of the tribe of Mic-O-Say. He was a member of Delta Chi Fraternity at the University of Kansas, and earned a degree in Chemical Engineering in 1948. He earned his Master’s degree in Chemical Engineering from Rensselaer Polytechnic Institute in 1951 and his MBA from the University of Missouri in 1964. He was employed as a Chemical Engineer at the Bendix Corporation, now Honeywell, for 39 years and retired in 1990. He then volunteered for 20 years at the Nelson Atkins Museum and worked part time for attorney Stephanie M. Smith from 1997 through October 2013. He was a judge for the Greater KC Science Fair for many years. 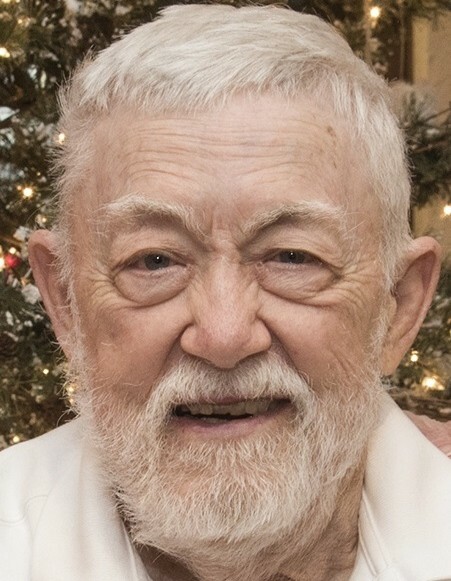 George was an elder at Rolling Hills Presbyterian Church in Overland Park, KS and an elder and charter member of Ruskin Heights Presbyterian Church in Kansas City, MO. He is preceded in death by his parents, George Sr. and Mary MacCurdy, a sister, Mary Alice MacCurdy, an infant son, Mark Rogers MacCurdy, and great-grandson Jason Ethan John McCarty. He is survived by his wife of 65 years, Marianne, daughter Beth Wigner (Harry) of Prairie Village, Amy McCarty (David) of Houston, Lori Rodgers (John) of Lawrence, grandchildren John Wigner, Sarah Elias (Josh), Karen McCarty, Helen McCarty, Ian Rodgers, Spencer Rodgers, great-grandson Ezra Elias, additional relatives and countless friends of all ages. The family is grateful for the kind staff and care received the past 3 years at Villa St. Joseph skilled nursing facility. A celebration of George’s life will be held on Friday, September 7th, 2:00 PM, at Rolling Hills Presbyterian Church, 9300 Nall Avenue. Private inurnment will be held at Mount Washington Cemetery, Independence, MO. In lieu of flowers, the family suggests a memorial be given to Children’s Mercy Hospital, 2401 Gillham Rd., Kansas City, MO 64108.